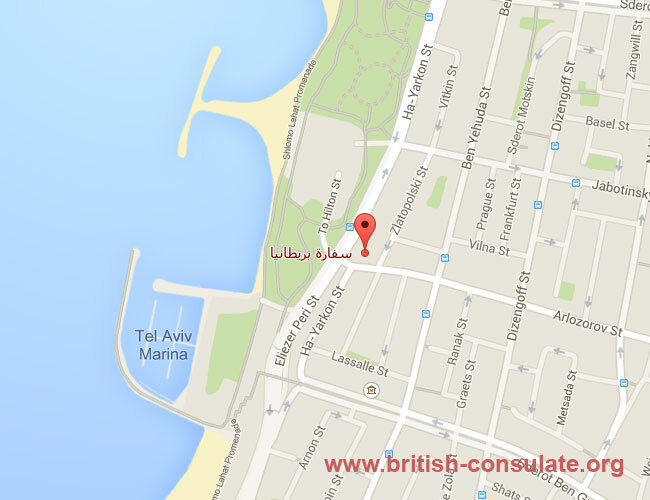 The contact details of the British embassy in Israel has been listed below. If you need assistance while in Israel then contact the embassy for assistance. They can provide you with consular services such as assisting you if you are arrested or in an accident. They act a mediator or negotiator and a connection between you and your family in the UK. Their telephone numbers, email and website has been listed including a map and a photo of the embassy in Tel Aviv.The operating hours have also been listed if you want to visit the UK and in need of a visa for the UK.